Indulge your inner Fidel and test your dictatorial management skills. 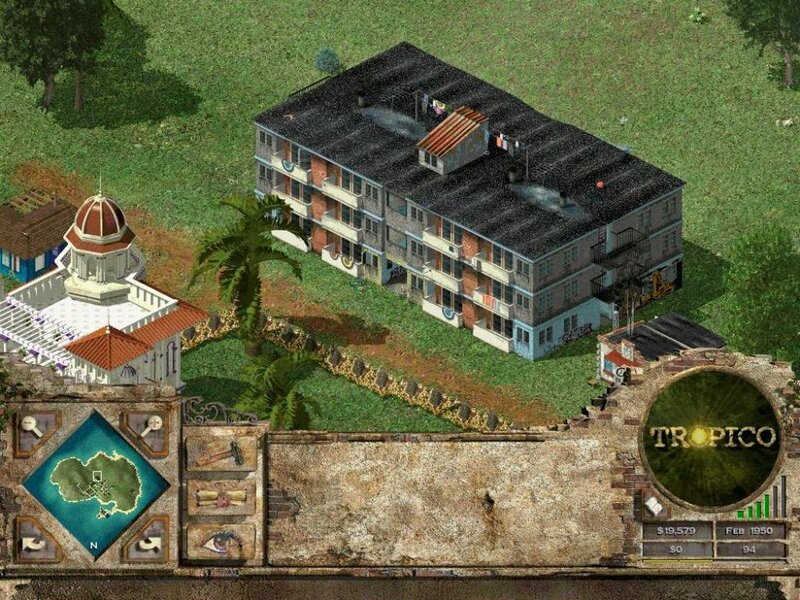 Developed by PopTop Software, the creators of Railroad Tycoon II, Tropico is essentially a lighthearted game of martial law and fields of papaya and bananas, of exploitable Americano tourists and planned slums. 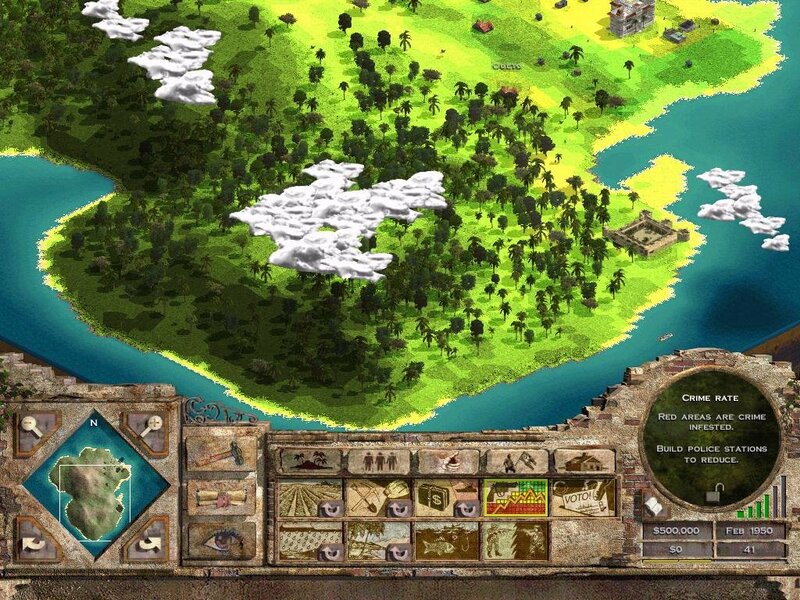 It’s also an entertaining strategy game that manages to pull off being simultaneously slight and deep. Places of worship keep your citizens happy. 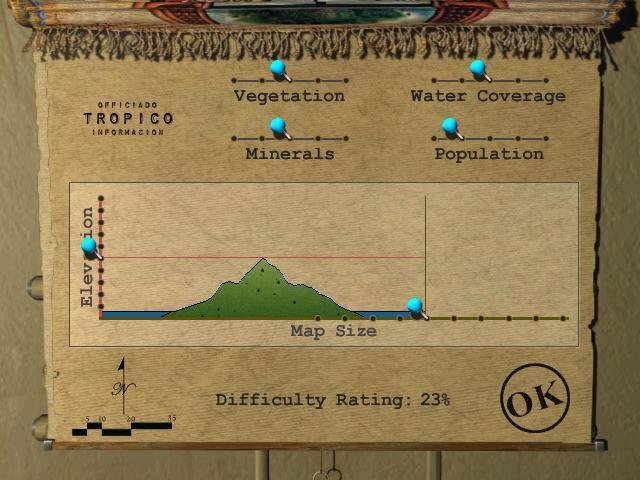 Though the game mechanics may be familiar to SimCity or RollerCoaster Tycoon fans, Tropico doesn’t feel particularly derivative because of its premise or execution. 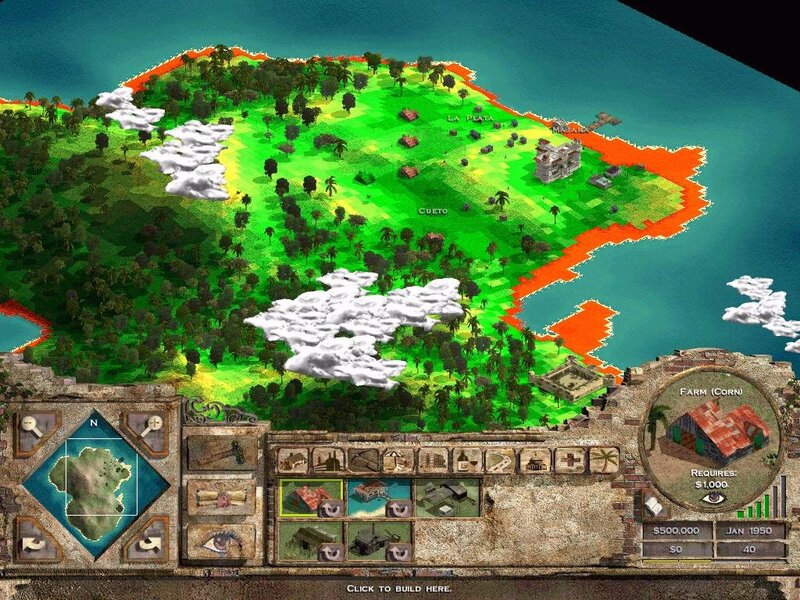 You take on the rule of a remote and undeveloped Caribbean island, and as the advisor-free El Presidenté, you have to decide early on a strategy for growing your nation. 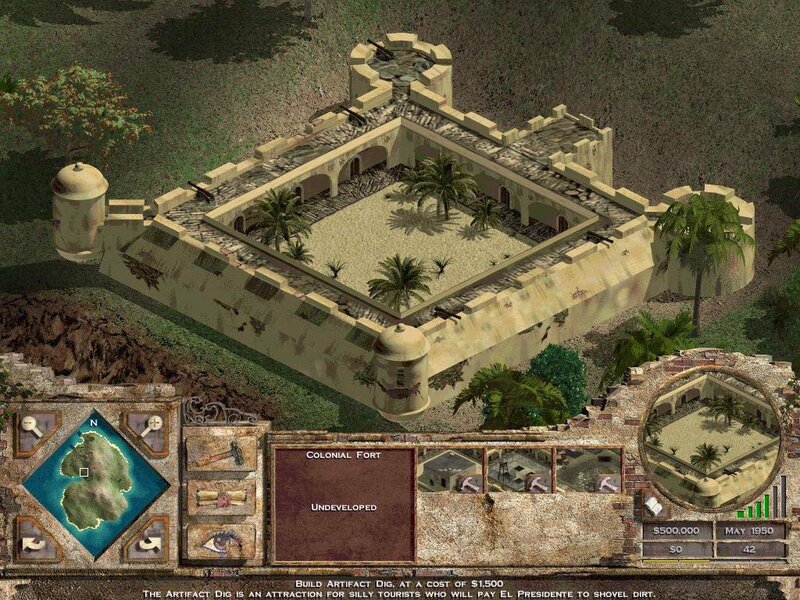 The game is primarily played on random maps with many available options that determine the challenge. Once started, you have multiple approaches: go for an oppressive, military-based regime, be a “leader for the people” and try to be nice, or go purely capitalistic. When starting the random island game, you choose your ruler. There are pre-built dictators (from the still-living Fidel Castro to Lou Bega) or you can elect to roll your own. 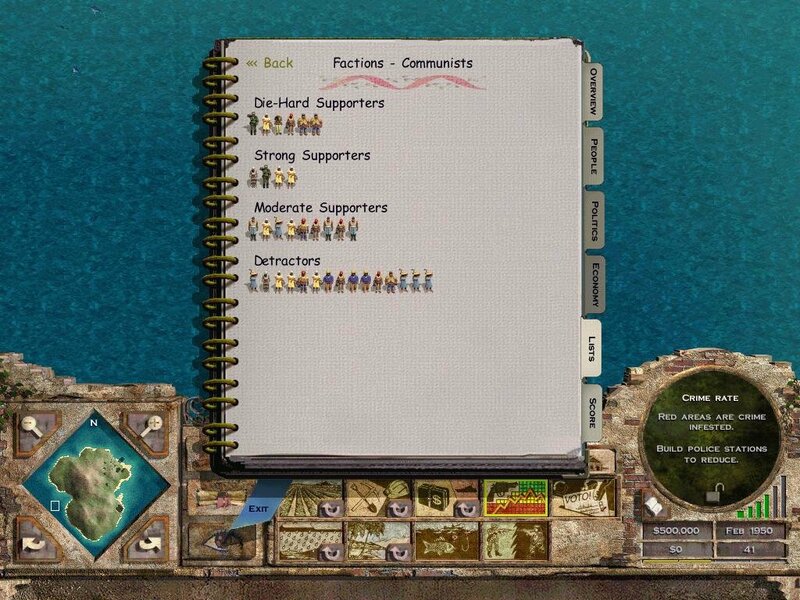 How you came to power affects your standing with the various factions (capitalists, communists, intellectuals, religious, militarists, and environmentalists), while other more personal traits are more in keeping with the somewhat silly tone of Tropico. Any game that allows you to select a character trait of “Flatulent” has its tongue planted firmly in cheek. Making matters even more bizarre, flatulence gives you a lesser penalty when dealing with Russian relations than the US—what does that say about Russians? The traits are more for tailoring the game to your own style of play and, as they all have equal weight, aren’t really balanced and, despite having a profound affect on the game’s difficulty, don’t change the difficulty score. Tropico is a wonderfully grubby looking game, using the “trapped in the 1950s” look of Cuba and delivering an astonishing amount of visual detail at the highest zoom level. 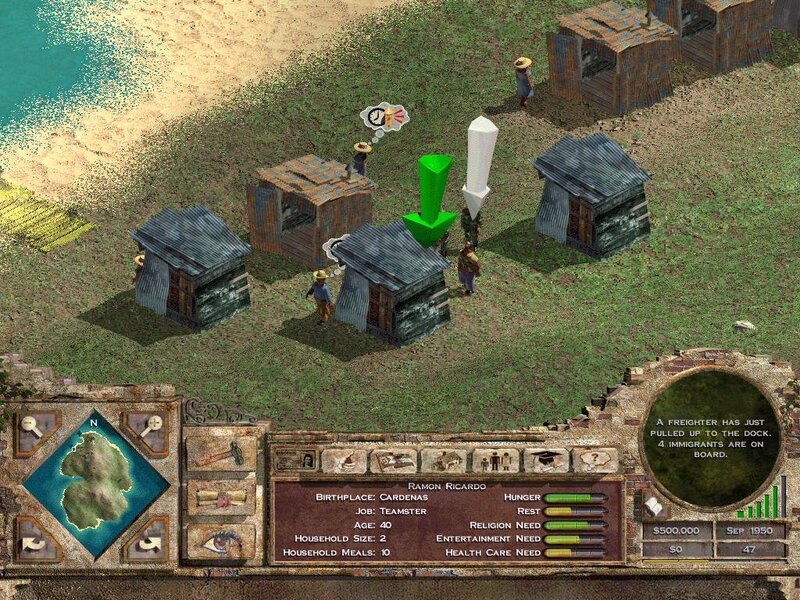 It uses a modified version of the Railroad Tycoon II engine, and shares that game’s toy-like feel coupled with its rolling 3D hills. It’s a perfect match, and overall looks fantastic. Though it does dabble in some of the darkness alluded to in the profiles of various famous dictators in the manual, the game overall is quite lighthearted. It bounces to the tune of a swanky soundtrack by Latin Music Specialists, and the game is an overall funny experience considering its subject matter. Despite having military states, martial law declarations, coup d’états, poverty, and death, it skips a lot of the even seedier aspects of being a third-world dictator: drug trades, human slavery, genocide, and really foul-smelling booze (oh wait, you do get that last part). 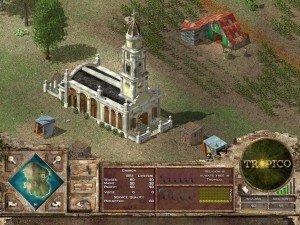 Your Tropicans, much like the Sims of SimCity, whine a lot, and you ultimately need to make them happy, or at least control them, in order to be successful. They want houses, good jobs with high wages, places for worship, lots of entertainment, medical care, low crime, and liberty. They have an annoying tendency to split into factions, some capitalists, others communists, some wanting a strong military, others wanting lots of industry, while still others concerned with the environment. 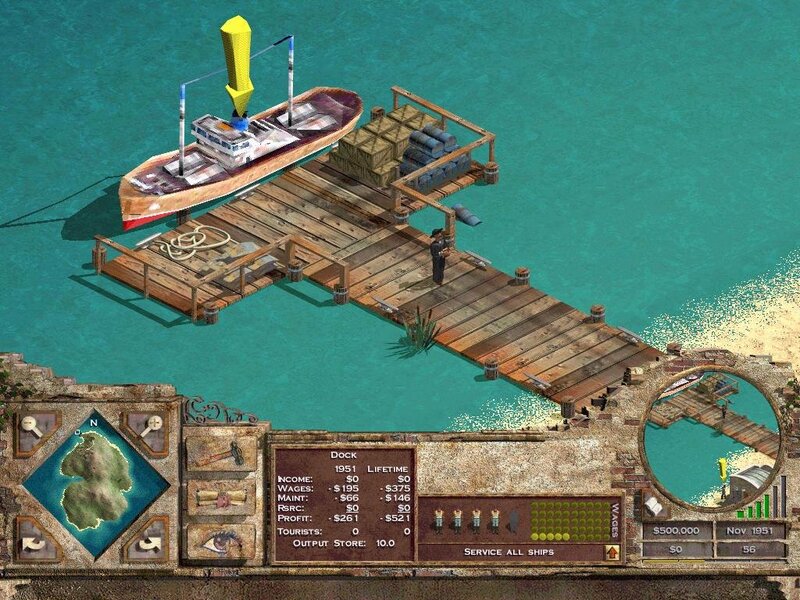 Juggling all of these elements is surprisingly challenging, though to the game’s considerable credit it never overwhelms you with too much information or too many tasks. Despite this simplicity, it’s hard not to wish for SimCity-like advisors for help dealing with all of the factions, especially in the earlier stages. 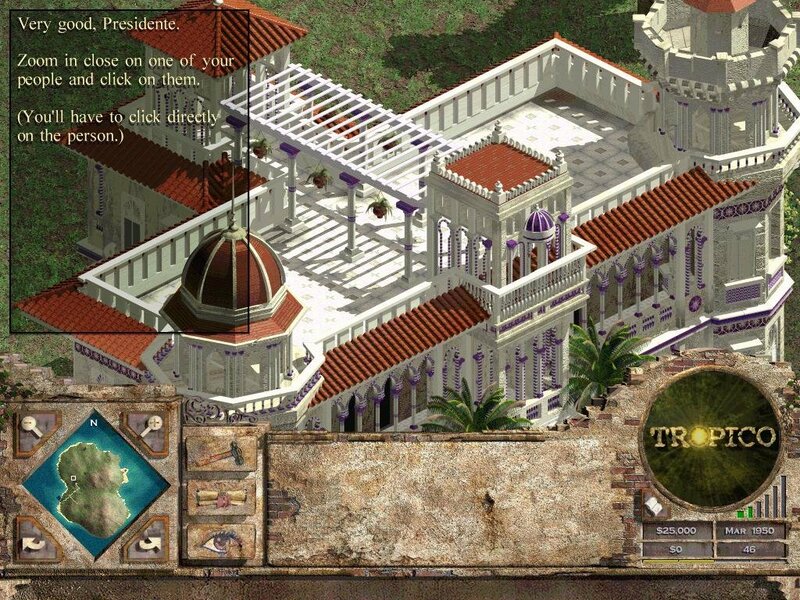 The game simulates politics, and that’s always a tricky thing to pull off. It’s only moderately successful in Tropico, as people tend to react fairly simply to your various edicts and building choices. Though it does allow slight variances in approaches, you inevitably play the game the same each time—start with farming, move up to some manufacturing, then expand into tourism. Lacking any natural disasters or opponents, having to deal with the varying factions and fending off the occasional coups and revolts is the only real conflict in the game. More problematic is the way the game handles elections. While the game monitors your overall happiness at all times, it isn’t tied 100% to the actual elections; happy people don’t always vote for you. When they call for an election, or you choose to call them on your own, you’re not given a poll to let you know if you even have a chance in hell of winning. You could, in a sense, accidentally call for your early boat ride off the island. 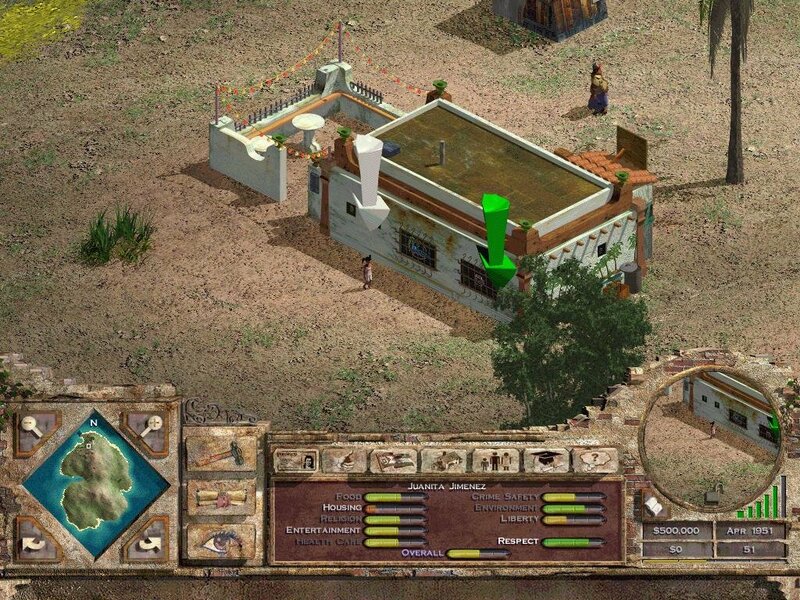 Your Tropicans don’t have vehicles, so where you place houses, churches, restaurants, and factories has a profound impact on how much work gets done in the game’s abstracted “day.” Once you’ve figured out how the flow of teamsters and construction workers affects your bottom line, it becomes fairly easy to get your empire going. Unfortunately, the economy complicates matters; you can go entire years without revenue from your farms or factories because Juan Valdez wasn’t pumping out those coffee beans down to the canning factory. One year you’re riding high with $80,000 in profit, the next year you’re in over your head in bad debts. 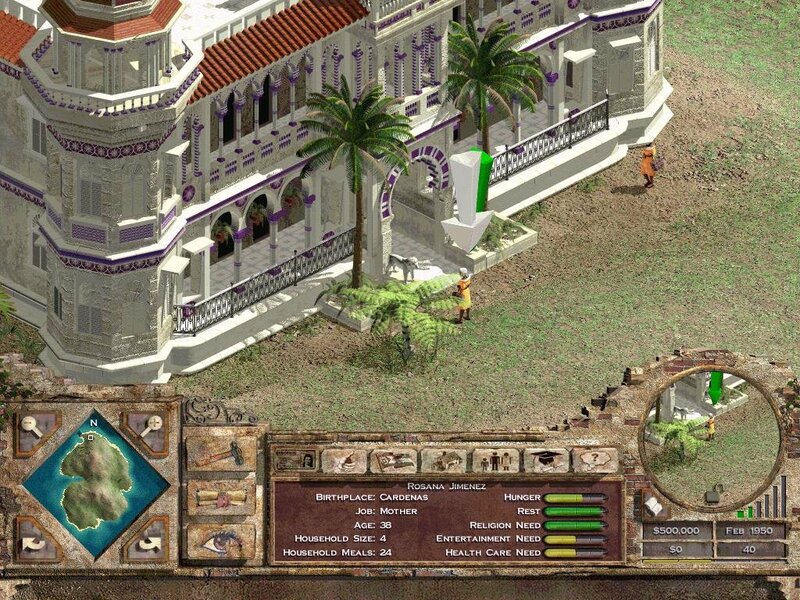 Tropico feels somewhat slight only because it keeps much of its depth behind the scenes. 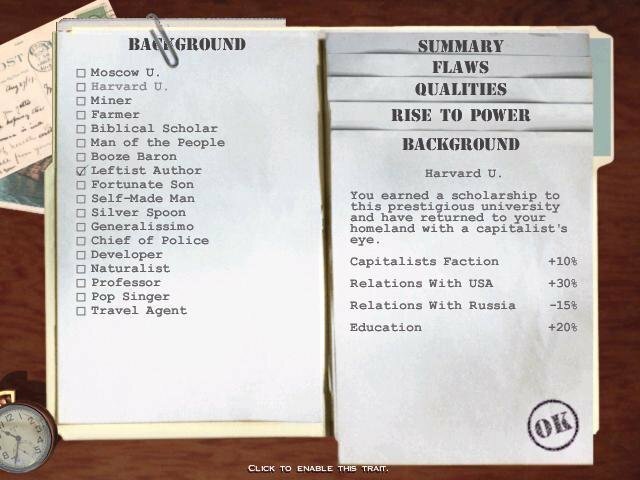 To its considerable benefit, it includes a full “sandbox” mode, which allows you to turn off all of the politics and money, giving you free reign to build the dictatorship of your dreams (and get a good feel for those cause-and-effect relationships). 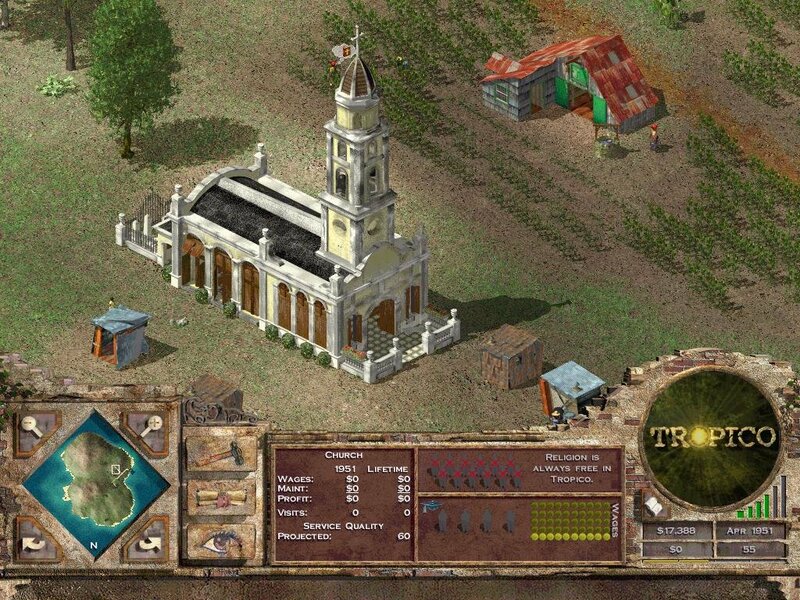 Without much in the way of external conflict it’s unlikely to have the sort of long-term replayability as Railroad Tycoon II, and is somehow less purely “fun” then RollerCoaster Tycoon. 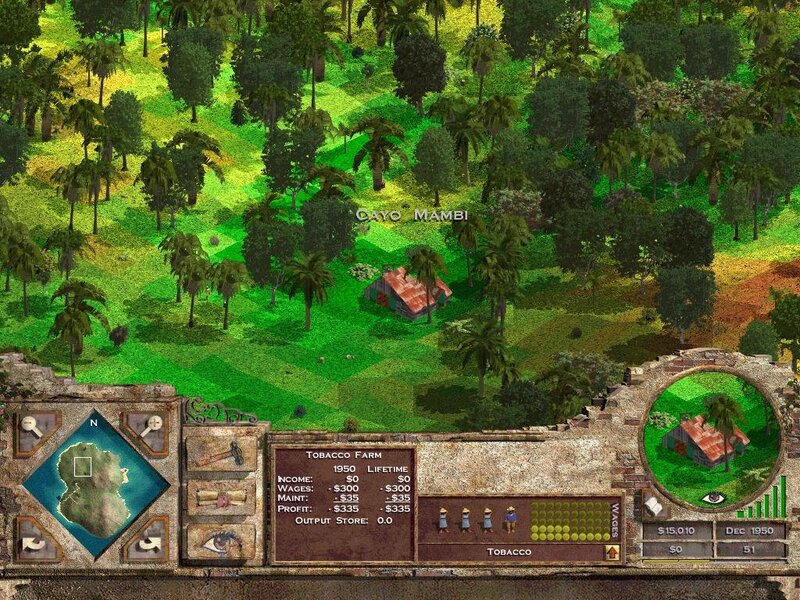 This isn’t really a knock on Tropico—it’s the perfect game to sit down with for a couple of hours, with a margarita in one hand and the mouse in the other, and just tinker with your whacked-out island. The crack.exe file doesn’t seem to be working for me. Mounted the .BIN file on a virtual drive and it still doesn’t want to boot the game, requesting that I insert the game disc. What am I missing?